There are many constellations that take pride of place in the sky. Scorpio and Orion get full marks for likeness. In the South, Crux potently points at the axis of the night sky. My favourite is far from unique and you know it because you've heard its name before: it's a car brand (Subaru) and gives its name to Maori new year (Matariki). I knew it mostly by its Greek appelation, Pleiades, a name I've butchered for far too long. (Try /ˈplaɪədiːz/ or /ˈpliːədiːz/ as indicated by Wikipedia.) They've appeared lucidly in my dreams and sent me out of dreams on early morning hikes to Maungawhau Mount Eden for Matariki observances. The appearance of this constellation before the morning sun rises marks the Maori new year and crowds of people brave the winter cold to spot it before the dawning sun outgleams it. 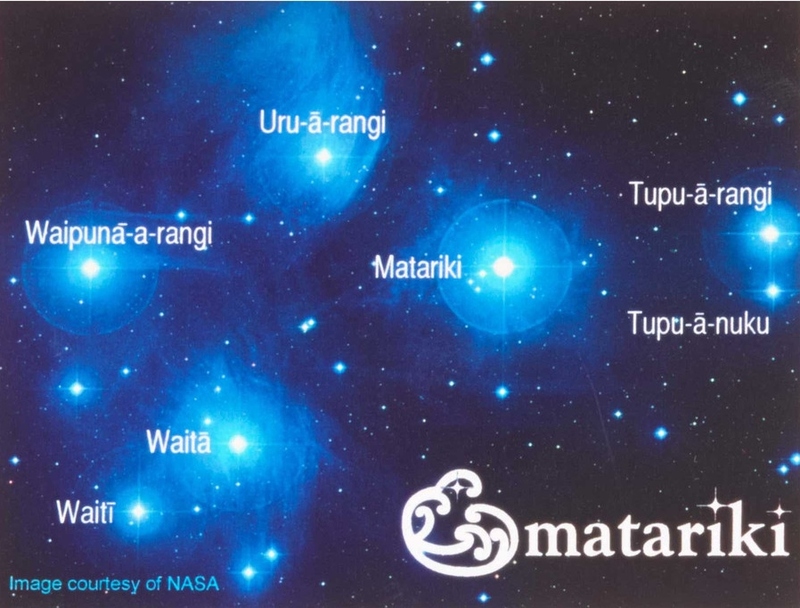 The Matariki observance in 2016 begins 6 June but I didn't wait and went out to see it tonight. It has the most enchanting twinkle. How do you find it? Find Orion in the North, move your eyes along the plane of his belt through the "V" of Taurus and keep going and.... STOP. You are now in Pleiades. Admire and repeat another night.